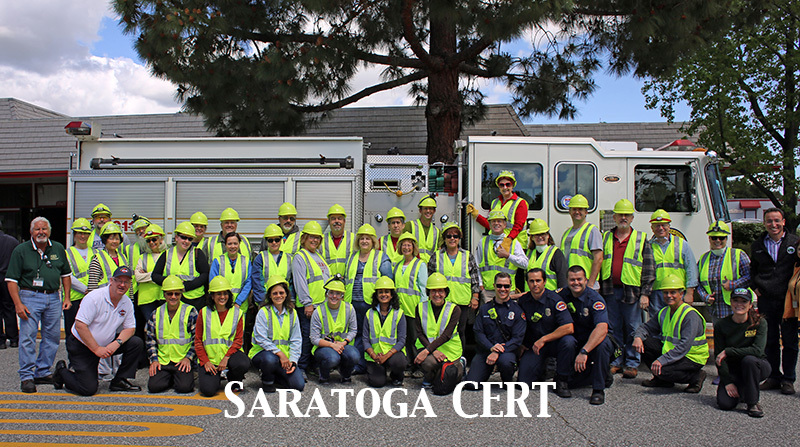 Michael Grodin of the City of Campbell CERT (Hamann Park CERT Division) has invited all members of the City of Saratoga CERT to attend any one of the four identical classes, described below. In January and February 2019, Campbell CERT is offering a FREE Stop The Bleed class to all residents. Just as CPR saves lives, so does knowing how to stop a massive bleed (think trauma, mass shooter, bombings, etc.). This is a 75 minute class that trains people how to save a life by stopping life threatening bleeding. No experience needed to participate in the class. Certificates are awarded to all that complete this hands on training. Classes are held at the Campbell Community Center. Address: 1 West Campbell Avenue, Community Center #C-31, Campbell, CA 95008. Wednesday, 1/16/2019 at 7:00 p.m.
Saturday, 2/02/2019 at 11:00 a.m.
Wednesday, 2/13/2019 at 7:00 p.m.